County Durham Building and Joinery Ltd carry out wide ranging building & joinery work for both domestic and commercial customers. We undertake jobs such as full house renovations, extensions, loft conversions and new shop fronts. We are also happy to fit one new door or window. The business owner, Stephen, served with HM Forces and after returning to civilian life retrained as a joiner at New College Durham. He worked for a major house builder until 2008 when the housing market reduced considerably and after short term jobs with local firms he took the decision to start his own business and the company now known as County Durham Building and Joinery Ltd was born. Stephen has established links with other quality trusted tradesmen including plasterers, electricians, plumbers, bricklayers and decorators and has completed a variety of work. 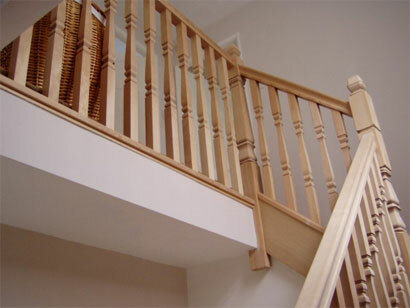 That work includes house renovations, kitchen and bathroom refurbishments, spindle staircases, built in wardrobes and the fitting of both internal & external doors and windows. County Durham Building and Joinery Ltd carries out both small and large jobs and, until Durham County Council took the decision to close the scheme, was for many years a member of The Registered Traders Scheme with a customer feedback score 0f 4.9/5.0. We provide insurance backed guarantees from IWA.